“Frère Jacques” is one of the most famous children’s songs (comptines). 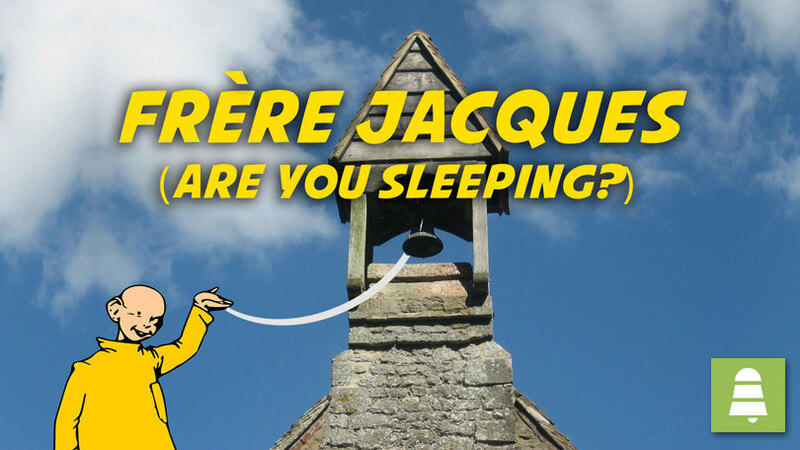 This French song for kids is about a 17th century monk – an actual person – called Jacques (Jacob – John, in the English translation of the song) who had to wake up and sound the bells for the “matines” (monastic services), but, obviously, he overslept and the song calls him to wake up. Ring the morning bells! Ring the morning bells! Schlafst du noch? Schlafst du noch? Horst du nicht die Glocken, horst du nicht die Glocken? Suona le campane! Suona le campane! Din, don, dan. Din, don, dan. Bim, bam, bom. Bim, bam, bom. “Frère Jacques” is a round (canon), so Singing Bell offers it in two different versions: In Version 1 the round comes every 2 measures, while in Version 2 the round comes every other measure. To download your vocal version mp3 of “Frère Jacques”, click here. Also get it for 0.99$/€ on iTunes, Google Play and Amazon Music. + 20 Bonus Instrumental versions and save 20$/€! To save this free music sheet of “Frère Jacques” to your computer, right click and choose “Save Image As…”. 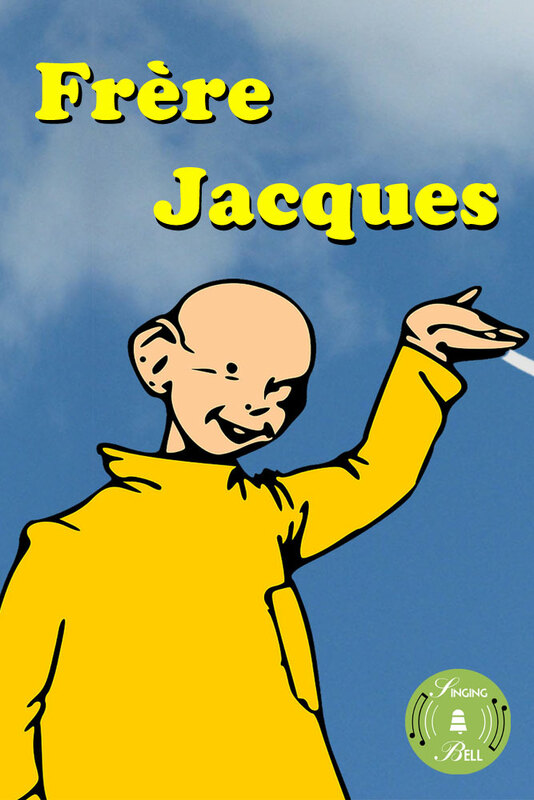 To download a ready-to-print PDF of “Frère Jacques” for music activities with a music sheet, lyrics and a drawing for kids to paint, right click on the following link, then choose “Save link as…”. When teaching a round, or a canon, try to let the children sing by themselves, turn your back to them and start sing the second voice without having explained exactly what was going to happen. Some of them will keep their voice, others will follow the teacher, but the song sounds already in two voices. At this point you can teach the concept of the canon or round more easily , depending on the age and the level of the class.